If you are an owner of the Motorola Droid X and want some Android 2.3 Gingerbread goodness on your smartphone but don’t wish to go through the hassle of rooting your Android device, there is a way of doing so, and we have a video guide for you to follow below. 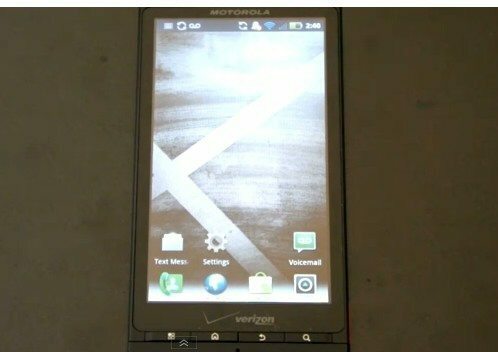 The how to put Gingerbread on Droid X (without rooting) video comes our way courtesy of Jon Rettinger over at Technobuffalo, who decided to give it a go and recording to occasion after seeing a written guide over on Droid X Forums. So if you are of a mind to give Android 2.3 Gingerbread with the updated version of MotoBlur a go on your Motorola Droid X then head on down and hit the play button to find out how Jon got on with his Droid X in the almost four minute video guide…enjoy. A minor correction for the video: They have redone at least one of the Motorola widgets… The Social Networking widget now has a very nice 3D Flip animation when you slide from update to update.